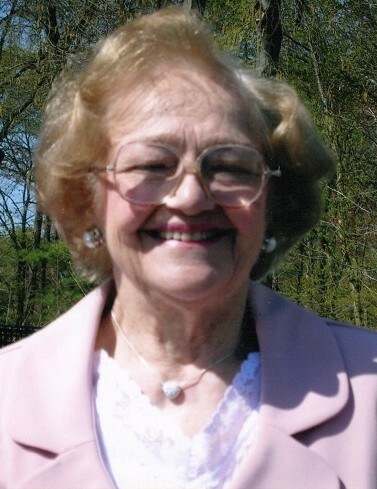 Genevieve Barbara (Partyka) Stanek, age 91, of Springfield, MA until 2017 when she moved to Elim Park in Cheshire, Ct, died on Tuesday, January 22, 2019 at her home. She was born March 23, 1927 in Holyoke, and was one of seven children to the late Anthony and Aniela (Haber) Partyka. Genevieve was raised in Holyoke and educated at the former Mater Dolorosa Parochial School and graduated from Holyoke High School in the class of 1945. Shortly after high school, she started working at American Thread until 1954, when she became a homemaker and mother raising three children. On October 30, 1949 Genevieve married the love of her life, Mitchell Stanley Stanek and together they celebrated life for 33 years until his death, in June of 1982. She was employed for 15 years by Cabotville Industrial in Chicopee, MA until her retirement in 1995 at age 68. 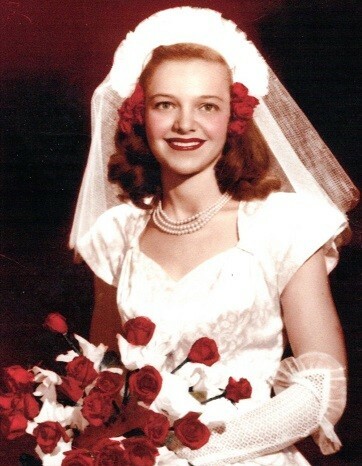 She was a communicant of the Our Lady of the Rosary Church in Springfield, MA. Her Catholic faith greatly influenced her life and she prayed often for the protection of herself, family, and friends. Genevieve was a proud and devoted member of the Polish Junior League and the Polanie Club. She loved shopping, bus trips to NYC to the theater, Atlantic City, or a restaurant or shopping mall. In her younger years she was an avid sewer and also enjoyed bowling and going to the ocean. Her family was her pride and joy, and she would enthusiastically attend her children's and grandchildren's events. Family holiday gatherings were something that she looked forward to annually. Genevieve was a devoted, loving mother to her three children: a daughter Donna (Stanek) Kaplan of Granby, MA, a daughter Diane (Stanek) Kennedy and her husband Jim of Westfield, MA, and a son Daniel M. Stanek and his wife Deanne of Cheshire, CT; a cherished grandmother to Abigail Kaplan, Daniel Kaplan, Jessica Kaplan, Lauren Kennedy, James Kennedy, Ryan Stanek, Ashley Stanek, and Brad Stanek. She was a loving sister to Joseph Partyka and his wife Madeline of Holyoke, MA, and Henry Partyka of Vermont. Besides being predeceased by her parents and husband Mitchell, she was also predeceased by her brother, Father Thomas Partyka; three sisters: Edna Tarasiewicz, Stasia Hughes and Helen Czarnik; and her daughter Diane Kennedy. Funeral Services for Genevieve will be held Saturday, January 26th at 1:00 p.m. in the Barry J. Farrell Funeral Home, 2049 Northampton Street. Burial will be private. Calling hours will be held Saturday from 10:00 a.m. to 1:00 p.m. In lieu of flowers, please make donations to: Susan G. Komen Breast Cancer Research in honor of her daughter Diane Kennedy at www.komen.org.